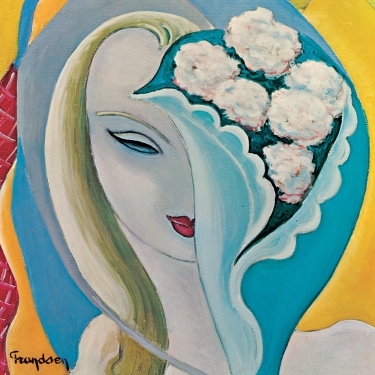 Romantic passion and angst never sounded so eloquent and fiery as on Derek and the Dominos’ iconic 1970 masterpiece Layla and Other Assorted Love Songs, which now celebrates a 40th anniversary. Certainly the backstories behind the band, the album and the title cut have now been legendary—that being Eric Clapton falling in love with Patti Boyd, the wife of friend George Harrison. One can surmise the emotions of that he must have felt in blistering, heartfelt songs like “Bell Bottom Blues,” “Nobody Knows You When You’re Down and Out,” the lovely ballad “I Am Yours,” and “Why Does Love Have to Be So Sad.” There are other interesting touches to the record such as the bluesy “Key to the Highway” and a stirring, majestic version of Hendrix’s “Little Wing.” Of course, the album’s centerpiece is the iconic title track, which is still timeless and a staple of rock radio for its burning first half (with the electrifying guitar work of Clapton and guest Duane Allman) and the peaceful piano-dominated second half. This deluxe edition of this great album is accented by previously unreleased new mixes of tracks from what would have been the Dominos’ second album—among them = a completed version of “Got to Get Better in a Little While,” featuring newly added contributions by keyboardist Bobby Whitlock; and live performances by the band on The Johnny Cash Show. Another deluxe version of the set also includes the Dominos’ In Concert live recordings. The Dominos may have recorded only one studio album in their brief lifetime, but it’s one hell of a work that we’re still talking about these 40 years later.